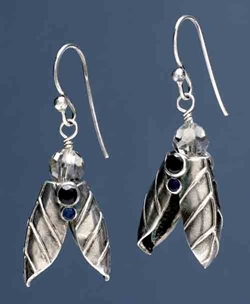 Irina Miech is a multi-talented jewelry maker, a practitioner and teacher of great reputation. If you have wanted to go beyond the basics with metal clay, I can definitely recommend Irina's Metal Clay Collection for Beaders to you. 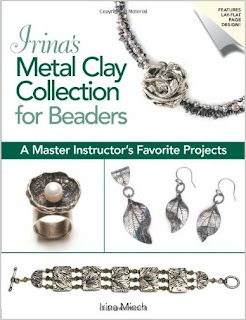 Published by Kalmbach Press, Irina's latest book is a chronicle of her own artistic journey with metal clay, moving from 10 beginner projects through 13 intermediate and advanced projects that will teach you how to mold, shape, carve, and otherwise manipulate this most fascinating of metal materials. For a sample of Irina's work (not found in the book, but similar to some of the pieces), you can try this free project made available by Bead & Button magazine. Is it time for you to take the plunge too? I think you'll find this book inspiring!